Hello there 🙂 How’s your world going, Little L? I hope you’re climbing higher each day. 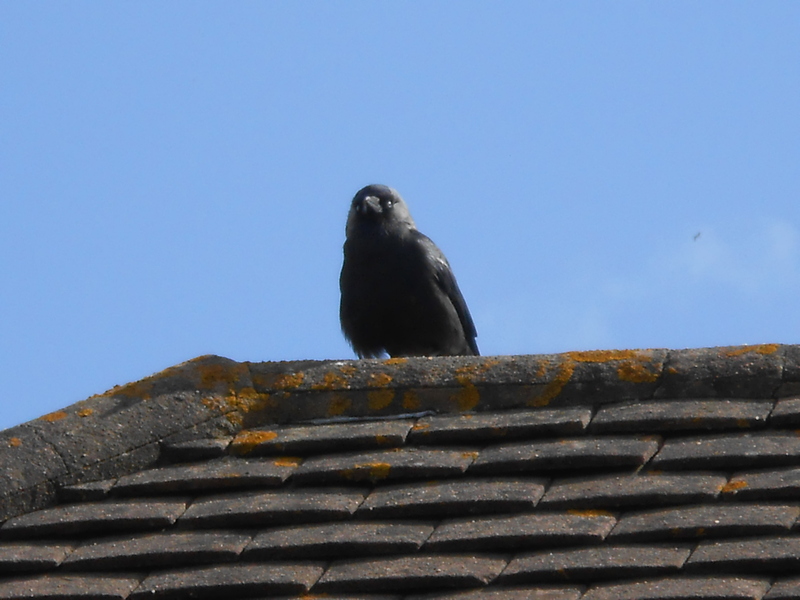 Looks like a lovely day for warming black feathers on a roof. It was a warm day, but not so now. We’ve had a northerly wind for the last few days, meaning jumpers, hats and coats yet again. Could do with some feathers, really.